The origins of the French Press are a bit hard to trace back, but it seems to have originated in Italy, or it could have been France. We aren’t really sure. The design in it’s simplest form started as a cheesecloth or metal screen attached to a rod and plunged down into a pot of boiling water and coarsely ground coffee. 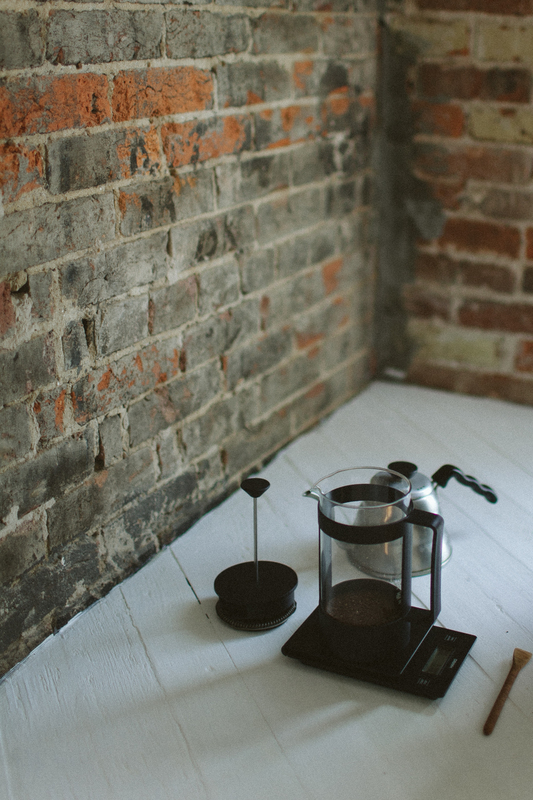 In 1929 a Milanese designer named Attilio Calimani patented the design and we have him to thank for the modern day French press. French press, or plunger coffee as it’s known in some countries, is a great method as it’s very hands off and also incredibly forgiving. 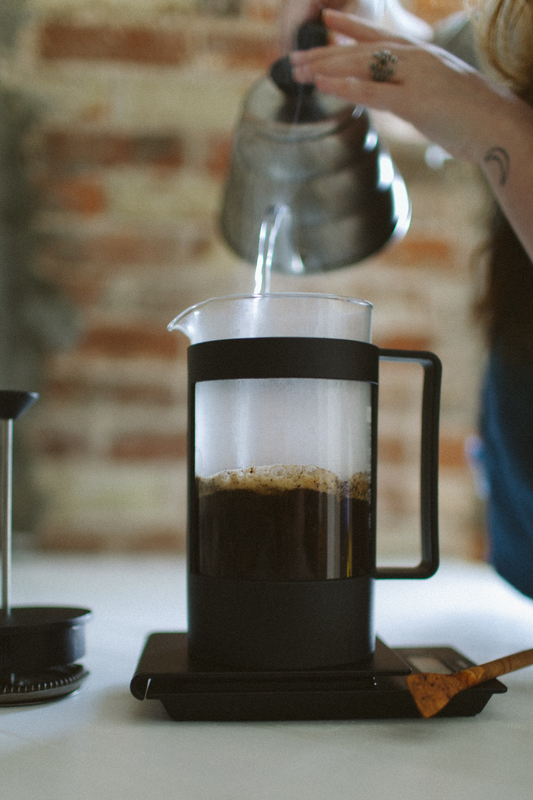 It’s by far the simplest method of brewing, and that simplicity is what makes it so great. 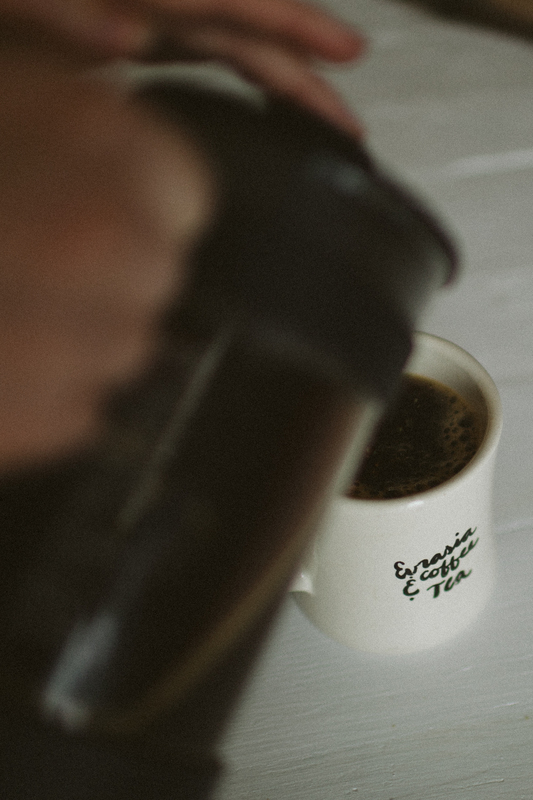 Pour hot water into the press so rinse out any residual coffee and to heat the vessel. Measure out 24g of coffee and grind on a coarse setting. 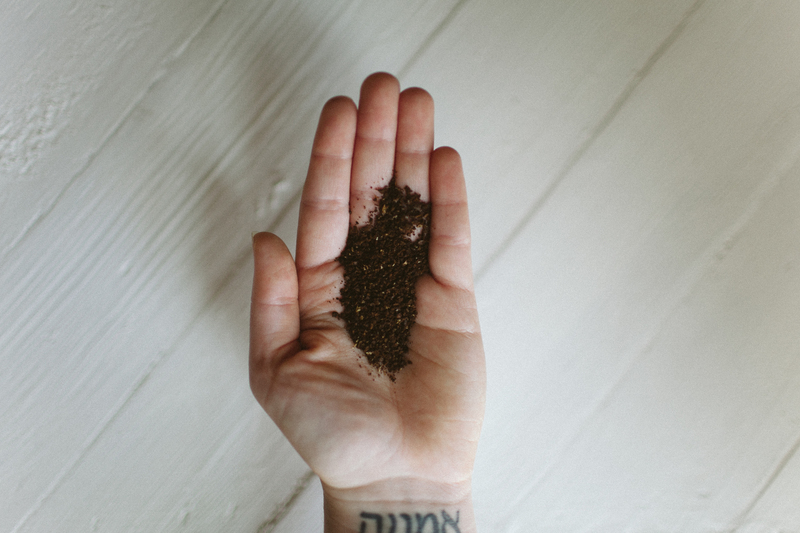 The grinds should resemble coarse sea salt. Now add all the grinds to the press and zero out your scale. Start by saturating the coffee (about 75g coffee) and let it set for 30 seconds to bloom. You should see bubbles coming out of this grinds, this when the coffee starts releasing gases and all those yummy flavors. After 30 seconds start to pour water over the coffee in a circular motion until you reach 384g of water. 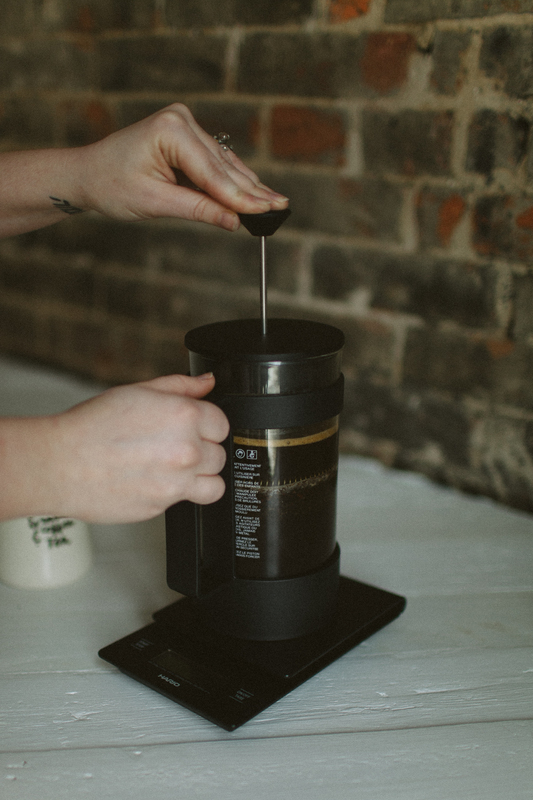 Give your coffee a few good stirs with your brew paddle then set the lid on top of the press with the plunger resting just above the liquid. Then set your timer for 3:30 and wait. After your timer goes off (4 minute total are time) slowly plunge down. Let the grinds settle at the bottom of the coffee for another 15 or so seconds. 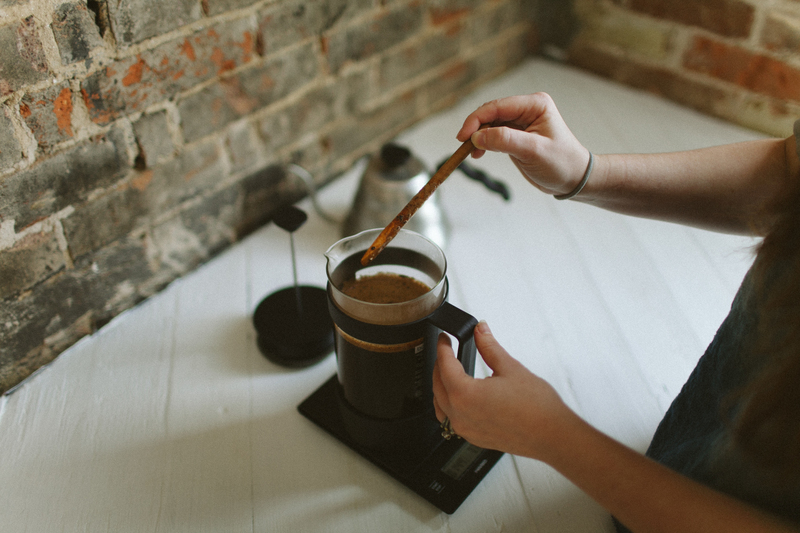 Pour into a heated mug and serve, but make sure not to drink the last sip because it will have some coffee sediment!